It's highly likely that you've heard time and time again throughout your life that you should cultivate the habit of reading. 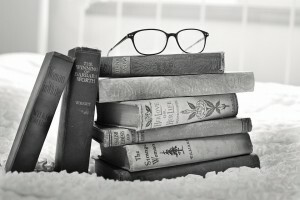 However, if you're unsure of just how much being an avid reader can change your life, or of the benefits that can come with being a bookworm, you should continue reading the post below. Call The Tutoring Center, Santa Clara CA at (408) 816-7825 to ask about their academic programs, or to request a free consultation. There is an endless amount of reading material available to you. Not only that, but said material can go over a myriad of different topics. Hence, the more you read (and the more varied the reading material you consume), the more knowledgeable you'll be. This can, of course, affect your academic efforts and your day-to-day life, since you'll have a lot more to talk about with the people you interact with. Your mastery of the English language can be traced back to your reading habits. This is because reading avidly can help you build your vocabulary. As you know, when you read (especially, when you read works by great authors), you come face to face with unknown words. This gives you the opportunity to search for those words in the dictionary, learn their meaning, and start incorporating them into your own vernacular. As mentioned in the previous entry, reading more can help you develop a wider vocabulary. However, it won't only help you have a bigger collection of words. On the contrary, being an avid reader may make you a better communicator as well. This is because you'll have a firmer grasp on the English language as a whole, and you'll possess skills that will allow you to express your thoughts, opinions, and more in a more educated and effective way. Being a bookworm can also help with your academic efforts. Skilled writers know the rules of the English language, and can use them and transform them to their advantage. This means that, as you read, you are inadvertently learning about and perfecting your grammar, spelling, and writing. You can then use these tools to your benefit whenever you must to write, speak, and more. The Tutoring Center, Santa Clara CA can assist you in your journey to becoming a better learner. Call (408) 816-7825 to enroll in tutoring in Santa Clara CA. Another incredible perk of reading often is a change in how you view the world. This is because, as you read, you're confronted with different ideas, opinions, reasons, perspectives, and more, some of which may even be completely opposite to your own. While reading, you're expanding your worldview, which may make you more likely to understand others more and see them and their thought processes in a new light. While we're on the subject of being exposed to new ideas and ways to express them, being surrounded by the creativity that writing entails can help your own creativity and your ability to think outside the box. In a way, reading can become your muse, since every new idea stems from another one. The more you read, the more likely you'll come to form new connections and develop new ideas. Some people consider watching TV a mindless activity because you don't have to make any effort in order to go through with it. Well, reading is the exact opposite of that. While you read, you practice your skills, you learn about different subjects, you use your imagination, and you employ your brainpower. Reading can challenge your mind and keep it properly exercised, so it's stronger and more capable. Last but not least, being an avid reader can have the awesome benefit of increasing your self-confidence. As you can attest from this post, reading often brings with it a great deal of advantages (being a better communicator, having more knowledge, being a more successful student, etc.). And, as you start experiencing them, it's only natural that you'll feel more confident in your abilities, knowledge, and skills. Reach your academic potential with support from The Tutoring Center, Santa Clara CA. Call (408) 816-7825 to inquire about the benefits of one-to-one tutoring in Santa Clara CA.